Before 1982, one US dollar was equivalent to 3 Lebanese Lira. This was in part because the Palestinian Liberation Organisation (PLO) was spending tens of millions of dollars in the country on its own people and on Palestinian families living in Lebanon. Moreover, United Nations organizations (UNRWA) and other NGOS were also distributing financial support to Palestinian refugees whose homes had been taken by Israel forcing them to leave their country. Following the Israeli invasion of Lebanon in 1982, the PLO was forced to leave the country. Not much later, one US dollar reached an exchange rate of 3000 Lebanese Lira, later devalued to stabilize at the current rate of 1$ for 1500 L.L. Iran entered the scene to support local Lebanese fighters (the Islamic Resistance in Lebanon, i.e. Hezbollah) to recover their territory from Israeli occupation. In the year 2000, Iran began to make a serious investment in Hezbollah as the group managed to force the Israelis out of most Lebanese territory. Iranian financial investment had reached a very high level by the 2006 war when Israel was prevented from disarming Hezbollah to keep its rockets and missiles out of range of Israel. 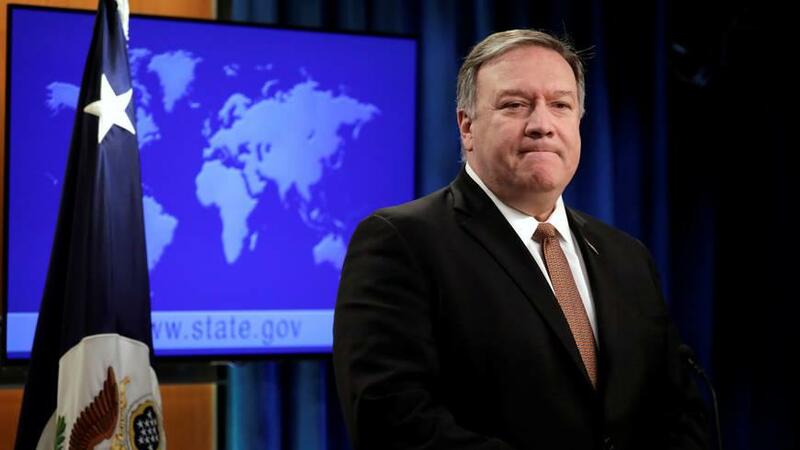 But after Donald Trump entering the White House and his rejection of the Iran nuclear deal, the US government has imposed the severest sanctions on Iran and halteddonations to the United Nations organisations supporting Palestinian refugees (UNRWA). Sanctions on Iran have forced a new budget on Hezbollah, a five-year austerity plan. Forces have been reduced to a minimum number in Syria, movement of troops are slowed accordingly and all additional remunerations are suspended. 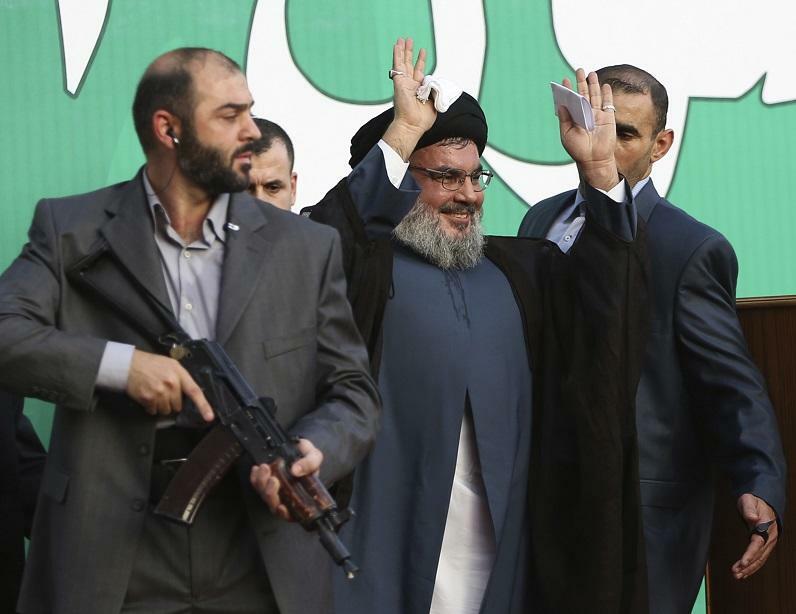 Hezbollah reduced its budget to a quarter of what it had been without suspending any militants or contractors’ monthly salaries and medical care as stipulated by a personal order from Sayyed Hassan Nasrallah, Hezbollah’s Secretary General. Pompeo wants Lebanon to give up on its demand to redraw its disputed water borderswith Israel, compromising on blocks 8, 9 and 10 to the benefit of Israel. This request will not be granted and Lebanese officials have said on several occasions that they are relying on Hezbollah’s precision missiles to stop Israel from stealing Lebanese water. The Saudis are already suffering from Trump’s bullying, and its funds are drying up. If Saudi decides to invest in Lebanon, it will seek to impose terms not much different from US demands. Saudi Arabia engages in wishful thinking when it aims to expel Iran’s influence and Hezbollah supporters from Lebanon, an impossible goal to fulfill. A shadow is hanging over the land of the cedars, a country that has already had to fight for survival in the 21st century. Hezbollah, now subject to US and UK sanctions, is the same force that protected the country from ISIS and other takfiri fighters who threatened to expel Christians from the country, in accordance with French President Sarkozy’s advice to the Lebanese patriarch that Lebanese Christians abandon their homes. The takfiri jihadists and NATO shared the same intentions for Lebanon. The failure of the US establishment’s plan to divide Iraq and create a failed state in Syria as part of a “new Middle East” woke the Russian bear from its long hibernation. Today Russia competes with the US for hegemony in the Middle East, obliging Trump to pull out all the stops in an attempt to break the anti-US front.